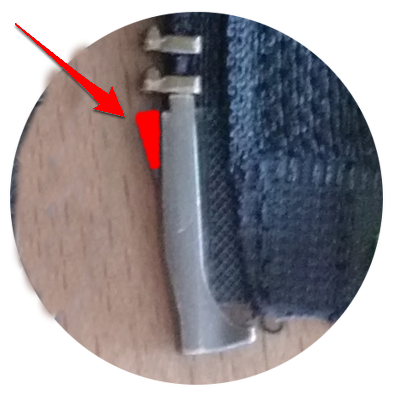 If it works on the left side but on the right side the pin of the adapter might not be fully inserted into the slider of your coat and therefore the slider does not move, then you could try the following: file off the small part marked red in the picture below. 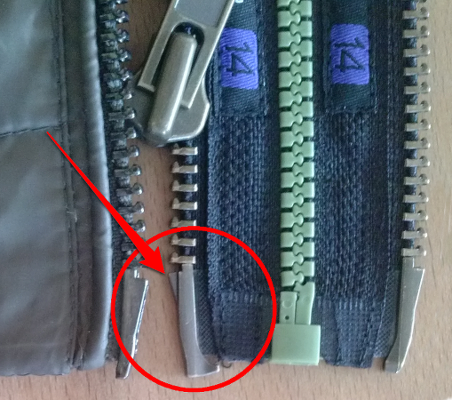 This part might be the reason why the pins can not be aligned and the zipper can not be connected... You can use a regular nail file. If this does not help we still refund the adapter - so no worries :) In this case - for quality control reasons - just include a note that you modified the adapter when you return it.